Every diamond engagement ring must meet our uncompromising standards of quality and value! We start with a hand selected diamond sourced from one of the world’s diamond cutting centers. Hundreds of stones can be examined before one makes the cut. Our owner still travels the globe to ensure our clients are presented with the best the world has to offer. Unlike the major internet diamond sellers who do not own the majority of their diamonds, we believe in and own every stone in our stock. While most of our diamonds over 1 carat are accompanied by a GIA grading report, we do not rely on the paper alone to select our diamonds. We measure the diamond against the report insuring that the diamond equals the grading report and our discriminating benchmarks for quality and value. The difference in a purchase form us versus the big guys is the assurance that you are not buying paper (a grading report), but a beautiful diamond already prescreened for you. Once we import the diamond and it reaches our office, our designers get to work. 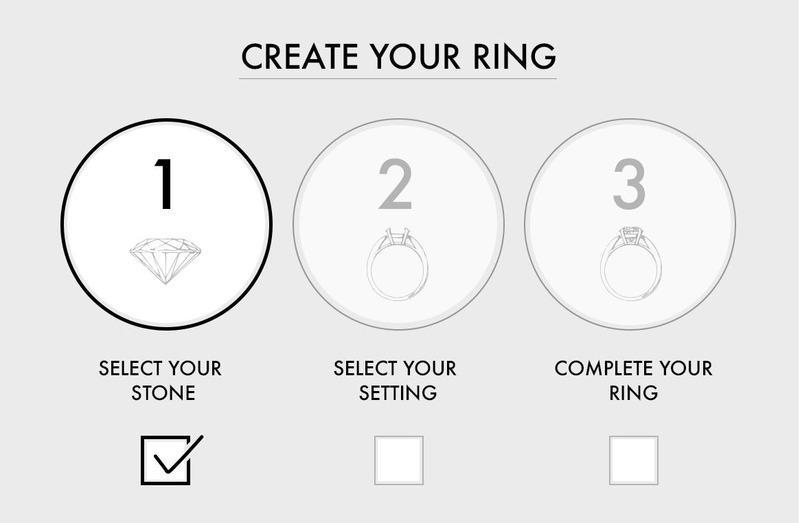 They will create a setting that will best highlight the attributes of the diamond. Whether working in platinum, yellow, white or rose gold, our staff will not sacrifice the integrity of the setting. The balance of style and functionality is achieved in each setting. If the setting calls for small diamonds, our diamond sorters match the side diamonds to the center stone. As soon as the engagement ring is cast, the casting and diamonds go to our shop for setting. Upon completion, the finished engagement ring goes through a multi-stepped quality control process. Our assortment of diamond engagement rings, whether set with round brilliant, princess cut, emerald cut, cushion cut, marquise, oval or pear will compete with any diamond engagement from anyone, anywhere or at any price. You may be confident that the same care will go into the procurement of your diamond engagement ring should you not find the exact stone that meets your criteria in our inventory. We will reach out to our trading partners all over the globe to get the perfect diamond. Should you desire a one of a kind setting for your diamond our design team will fabricate just about anything you wish. If you can dream it, we can make it! Feel free to use one of our credit facilities to help make payment easier. Please see our store or customer service personnel for more information. It is great to know that our associates and managers have received Gemological Institute of America (GIA) training. Our store personnel are on staff to help you, not to sell you. They DO NOT work on commission. Please think about what you would like to have for a wedding band as you start the process of picking your engagement ring. If you wish to have your wedding band set flush to your engagement ring it is better and more cost effective to have it designed from the beginning. As you can see we are a full service jeweler. 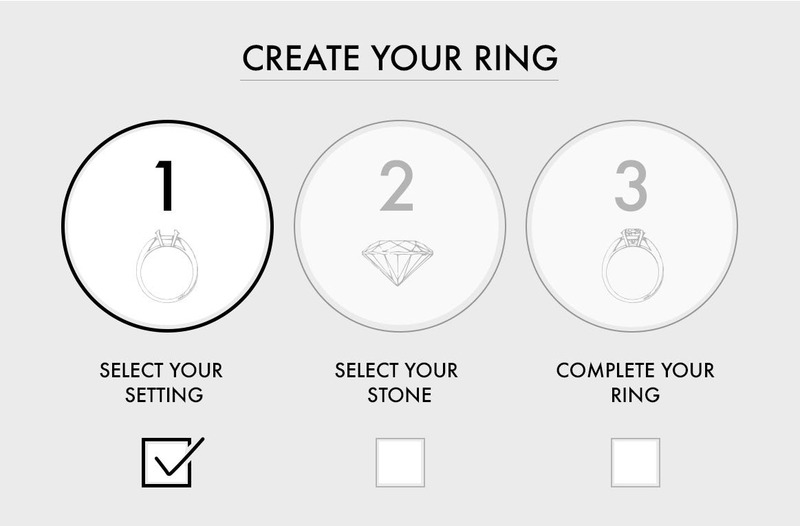 We import our own diamonds and design most of our own engagement settings. Please reach out to us with any questions that you may have. Take a look at our brand new collection of rose gold diamond engagement rings. We also have a new collection of cushion cut diamond engagement rings in our stores. You will also be able to see Internally Flawless diamonds in our stock. Even with 10 power magnification, you will not be able to see anything in your diamond.